Posted by Clearing Energy Work on November 13, 2013 in Chemical, Gardening (Organic), Paleo (Recipes) and tagged carcinogens, chemicals, organic. The Biochemistry of the Paleo Diet as explained by Doug McGuff, MD, author of the book Body by Science: A Research-Based Program for Strength Training, Body Building, and Complete Fitness in 12 Minutes a Week. Posted by Clearing Energy Work on July 20, 2013 in Paleo (About) and tagged diet, Health, healthy, Nutrition, paleo, Paleo (About), Paleolithic diet, Paleolithic lifestyle. Posted by Clearing Energy Work on August 5, 2012 in Paleo (Recipes) and tagged aloe, cinnamon, diet, food, green bananas, healthy, malanga, natural spring water, paleo, recipe, recipes, slow cooker, soup, sweet potato, vegetarian, Water, yuca. Posted by Clearing Energy Work on July 6, 2012 in Mental, Supplements and tagged agitation, antistress, anxiety, apprehension, diet, stage fright, stress. Posted by Clearing Energy Work on July 6, 2012 in Emotional, Supplements and tagged antistress, diet, emotions, homeopathic, mood swings, sepia, stress. Posted by Clearing Energy Work on July 6, 2012 in Mental, Supplements and tagged antistress, coffea cruda, diet, homeopathic, hyperactivity, mental, sleep, sleepless, sleeplessness, stress. Kombucha is a combination of tea, sugar, bacteria, and yeast. The tea is a probiotic. 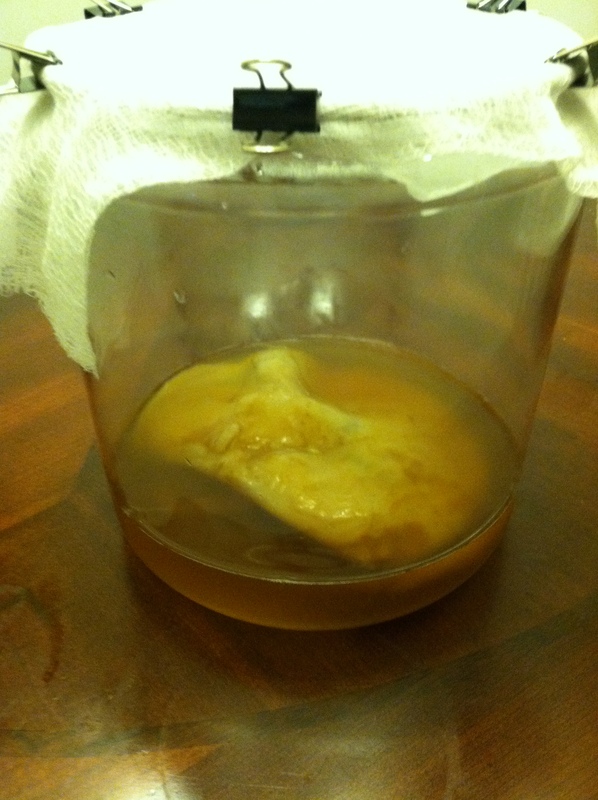 Posted by Clearing Energy Work on June 14, 2012 in Kombucha and tagged brewing, kombucha, natural spring water, paleo, probiotic, scoby, tea. Does a Clearing help with pain relief? Does a Clearing help with pain relief from an injury? Yes, pain is caused by over excitement of the pain receptors at the point of the injury. The message travels through the nerves and up to the brain. It’s your body’s way of saying, “Hey! Pay attention to this!” The body’s natural response to pain is to tense up. Over a period of time, this can cause a tension pattern that perpetuates the cycle. The Clearing session helps to relax the built-up tension pattern. When the body is in a state of comfort, it can relax. When the tissues around an injury site relax after a sustained period of time having been tensed, proper blood flow gets restored to that area. This creates the condition necessary for the body to be able to heal itself. The residual effect is a reduction in pain. The more comfort the body is in, the better it feels. Posted by Clearing Energy Work on June 13, 2012 in FAQ, Physical and tagged Clearing, FAQ, healing, injury, Pain, Pain management, pain relief, stress. Posted by Clearing Energy Work on May 22, 2012 in Paleo (Recipes) and tagged beef, curry, kale, paleo, Paleolithic diet, recipe. Posted by Clearing Energy Work on May 22, 2012 in Paleo (Recipes) and tagged curry, food, paleo, Paleolithic diet, recipe.